Registration through the Chamber has closed... But many schools are still in need of volunteers! Please contact kelly@southtampachamber.org if you need help connecting with one of the below schools. 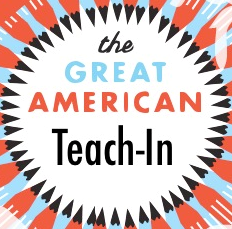 The South Tampa Chamber Education Committee invites you to participate in the 2018 Great American Teach In! Volunteers are given the opportunity to share with the students about your career, your experiences and community involvement. Participants will be asked to speak at one of listed South Tampa area schools. Times will vary by school.